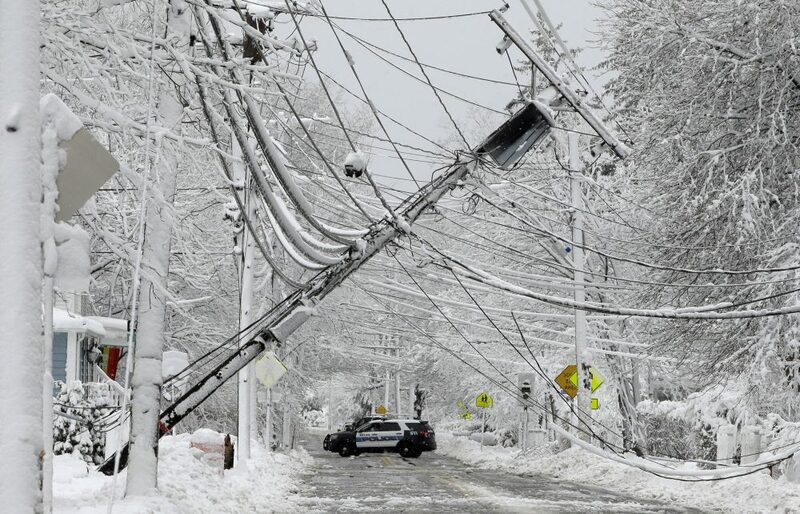 Winter storms can cause power loss and are a threat to the electrical grid when snow and ice build up on power lines when the added weight causes wires and poles to break. Likewise, tree limbs also become heavy with snow and ice causing them to break and fall into power lines. When your home loses power, one of your first concerns should be any perishable food on hand. A power outage is not only a nuisance, but can make some foods in the freezer and refrigerator unsafe to eat. Food can only last for just a few hours when the power goes out. Knowing how to keep food safe before a loss of power – and to determine if food is safe after a loss of power – will help minimize the loss of food and reduce the risk of foodborne illness. Making plans now for a potential power outage can make riding out a prolonged power outage safer, more comfortable, and prevent food illness. Non-Refrigerated Items. 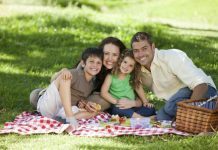 Be prepared for an emergency by having items on hand that don't require refrigeration and can be eaten cold or heated on the outdoor grill. Shelf-stable food, boxed or canned milk, water, and canned goods should be part of a planned emergency food supply. Make sure you have ready-to-use baby formula for infants and pet food. Remember to use these items and replace them from time to time. Be sure to keep a hand-held can opener for an emergency. Portable gas cooker or barbeque. Coolers. Consider what you can do ahead of time to store your food safely in an emergency. Inexpensive styrofoam coolers can do an excellent job. Coolers are a great help for keeping food cold if the power will be out for more than 4 hours—have a couple on hand along with frozen gel packs. Food thermometer. A food thermometer will be necessary so you can quickly check the internal temperatures of food. Bottled water. 3 pints per person per day, or 6 to 8 large plastic soft-drink bottles of water per person per day. 1 pint for washing food and cooking each meal, washing dishes and washing yourself. Keep up-to-date. Check and renew food and water every year, taking into account medical or dietary conditions in your family. If you have babies or children, make sure they have enough suitable food. Keep the refrigerator and freezer doors closed as much as possible. A refrigerator will keep food cold for about four hours if the door is kept closed. A full freezer will hold its temperature for about 48 hours (24 hours if half-full). Instead, eat shelf-stable foods. Place meat and poultry to one side of the freezer or on a tray to prevent cross contamination of thawing juices. Use dry or block ice to keep the refrigerator as cold as possible during an extended power outage. Fifty pounds of dry ice should keep a fully-stocked 18-cubic-feet freezer cold for two days. Do not heat your home with a gas range or oven. Using a gas range or oven for heating can cause a buildup of carbon monoxide inside your home, increasing the risk of carbon monoxide poisoning. Longer Outages. If it looks like the power outage will be prolonged beyond a day or so, prepare another cooler with ice for the items in your freeze. Obtain dry or block ice to keep your refrigerator as cold as possible if the power is going to be out for a prolonged period of time. Fifty pounds of dry ice should hold an 18-cubic foot full freezer for 2 days. Plan ahead and know where dry ice and block ice can be purchased. Have more than one cooler. Inexpensive styrofoam coolers can also do an excellent job. Shelf-stable foods, such as canned goods and powdered or boxed milk. These can be eaten cold or heated on a propane cooker. A food thermometer. With a thermometer, you can quickly check the internal temperatures of food for safe cooking. Sanitation is very important during and after a disaster. Effective sanitation can be obtained by adding 1 ounce of chlorine to each gallon of safe potable cool water. Wash dishes and utensils with soap and water first, rinse with clean water and sanitize with the bleach water. Keep utensils in safe place. Food dishes and utensils should be guarded against chemical exposure or contamination. Do not forget to store clean utensils in a clean place after washing, to be protected from re-contamination. Single service items. Paper plates and cups, plastic knives and forks that are used only once are highly recommended to reduce the possibility of food borne illness. A snowstorm knocked down the power lines, can I put the food from the refrigerator and freezer out in the snow? No, frozen food can thaw if it is exposed to the sun's rays even when the temperature is very cold. Refrigerated food may become too warm and foodborne bacteria could grow. The outside temperature could vary hour by hour and the temperature outside will not protect refrigerated and frozen food. Additionally, perishable items could be exposed to unsanitary conditions or to animals. Animals may harbor bacteria or disease; never consume food that has come in contact with an animal. Rather than putting the food outside, consider taking advantage of the cold temperatures by making ice. Fill buckets, empty milk cartons or cans with water and leave them outside to freeze. Then put the homemade ice in your refrigerator, freezer, or coolers. Some of my food in the freezer started to thaw or had thawed when the power came back on. 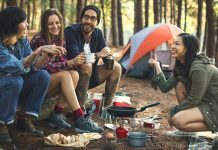 Is the food safe? How long will the food in the refrigerator be safe with the power off? Never taste food to determine its safety! You will have to evaluate each item separately. If an appliance thermometer was kept in the freezer, read the temperature when the power comes back on. If the appliance thermometer stored in the freezer reads 40 °F or below, the food is safe and may be refrozen. If a thermometer has not been kept in the freezer, check each package of food to determine the safety. Remember you can’t rely on appearance or odor. If the food still contains ice crystals or is 40 °F or below, it is safe to refreeze. 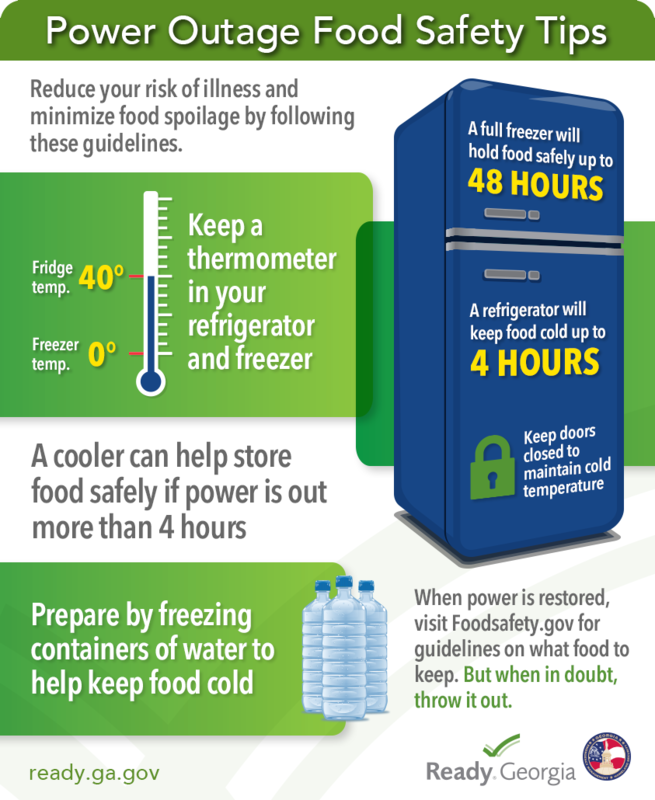 Refrigerated food should be safe as long as power is out no more than 4 hours. Keep the door closed as much as possible. Discard any perishable food (such as meat, poultry, fish, eggs, and leftovers) that have been above 40 °F for 2 hours. May I refreeze the food in the freezer if it thawed or partially thawed? Yes, the food may be safely refrozen if the food still contains ice crystals or is at 40 °F or below. You will have to evaluate each item separately. Be sure to discard any items in either the freezer or the refrigerator that have come into contact with raw meat juices. Partial thawing and refreezing may reduce the quality of some food, but the food will remain safe to eat. See the attached charts for specific recommendations. Food Storage When Power Comes Back On – What Should I Do? IMPORTANT: NEVER taste food to determine its safety. If ice crystals are still visible and/or the food feels as cold as if refrigerated (40° F or below), it is safe to refreeze. Raw meats and poultry, cheese, juices, breads and pastries can be refrozen without losing a lot of quality. Prepared foods, fish, vegetables and fruits can be refrozen safely, but quality may suffer. Mark these to be used as soon as possible. Remember that seafood will be among the first to thaw and will need attention first. Also, ground meat is likely to spoil before other meats. If the food thawed and has not been above 40o F for more than 2 hours, cook and serve or refreeze. 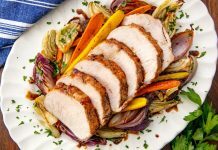 If the food thawed or was held above 40o F for more than 2 hours, generally it should be discarded because bacteria may multiply to unsafe levels under these conditions. The only foods that can be refrozen under these conditions are well-wrapped hard cheeses, butter and margarine, breads and pastries without custard fillings, fruits and fruit juices that look and smell acceptable. Vegetables held above 40o F for less than 6 hours may be refrozen with quality loss. Pecans and other nuts may be refrozen safely but may suffer quality loss. Throw away leftovers and perishable foods that have been held above 40o F for more than 2 hours, including meats, poultry, fish, seafood, lunch meats, hot dogs, milk, cream, sour cream, yogurt, cream cheese, cottage cheese, soft cheeses, soy milk and eggs. Hard cheese and processed cheese will be okay. Well-wrapped butter and margarine can usually be kept as long as they do not melt; discard if rancid odors develop. Condiments such as ketchup, mustard, mayonnaise, pickles, relishes, piquant sauce, oil and vinegar-based salad dressings, Worcestershire sauce and steak sauces should be fine. The acid in them is a natural preservative. Jams, jellies, preserves and syrups are all right, too, because sugar is a preservative. Check for mold growth. Discard opened mayonnaise, horseradish and tartar sauce if held above 50o F for more than 8 hours. Discard milk, cream, sour cream, yogurt, cream cheese, soy milk and eggs if held above 40o F for more than 2 hours. Whole fresh fruit, dried fruits, opened fruit juices and fresh vegetables are safe as long as they’re still firm and there’s no evidence of mold, a yeasty smell or sliminess, but discard cut fruits; precut, prewashed packaged greens and opened vegetable juices if held above 40o F for more than 2 hours. Nuts and peanut butter also are safe. 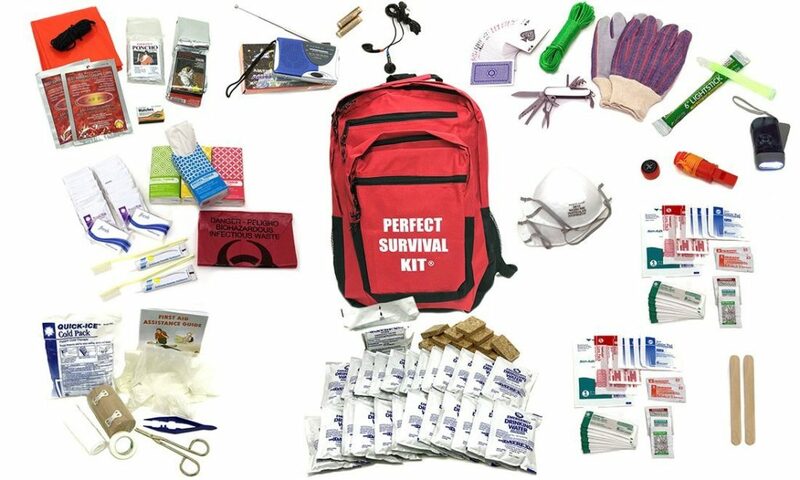 Best Rated Emergency and Disaster Preparedness Survival Kits - Powered by Amazon®. Emergency Disaster Survival Kit for all situations. Equipped with top survival items. FEMA Compliant Kits. Best selection and deals! Free 2-Day Shipping with Amazon Prime. Tools – keep a set in your kit; can include duct tape, screw drivers, pliers, safety goggles, etc. Stay inside and dress warm in layered clothing. When using an alternative heat source, follow operating instructions, use fire safeguards, and be sure to properly ventilate. Always keep a multipurpose, dry-chemical fire extinguisher nearby and know how to use it. Place a rolled-up rug or heavy towel in front of the bottom of doors to minimize any cold drafts from entering the house. Keep a close eye on the temperature in your home. Infants and people over the age of 65 are more susceptible to the cold. You may want to stay with friends or relatives or go to a shelter if you cannot keep your home warm. For more information on how to prepare for a winter storm and how to keep your family safe during and after a winter storm, visit Disaster Readiness Portal.